Waiting for the better "M"? Let me first state that I am aware that this article propably may trigger a controverse discussion but if you have been linked to this article by forums or rumor sites, you propably already know that many open disussions about Leica products tend to get emotional. So I will try to concentrate on objective facts even though I am conscious that this writing is influenced by individual experience as well. 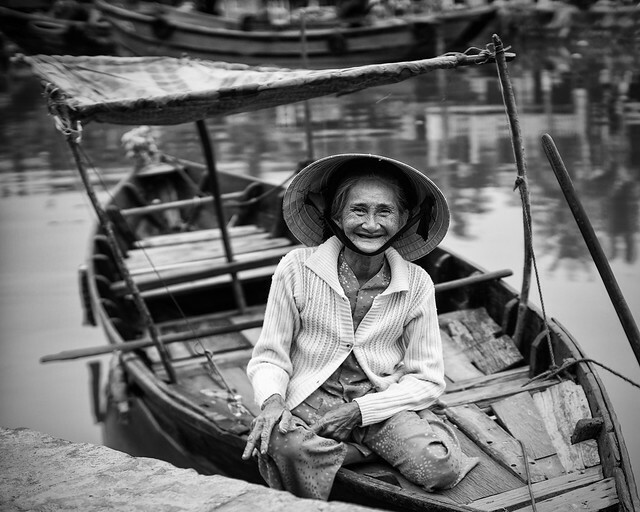 Vibrant impressions from Southeast-Asia 2013. 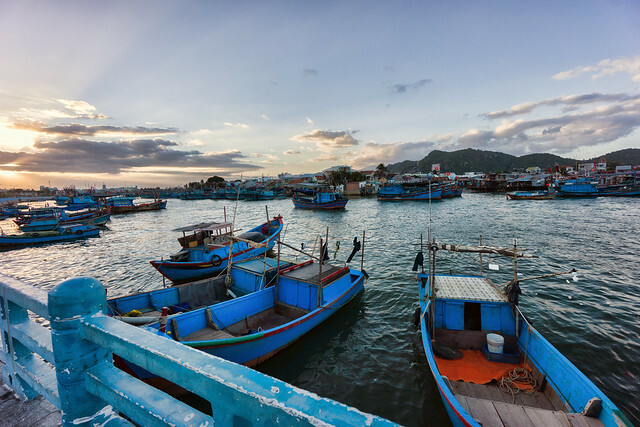 This slideshow including some video snippets shows you enchanting moments of a trip through Singapore, Thailand (Bangkok), Cambodia (Sihanoukville), Vietnam (Saigon/Ho-Chi-Minh-City, Nha Trang, Da Nang, Hoi An, Halong Bay) and Hong Kong. Enjoy! Best viewed in fullscreen-mode. In the video snippets, please activate the little "HD" symbol on the bottom bar of the player. Alternatively you may open this show in a seperate window. Hamburg, 01. 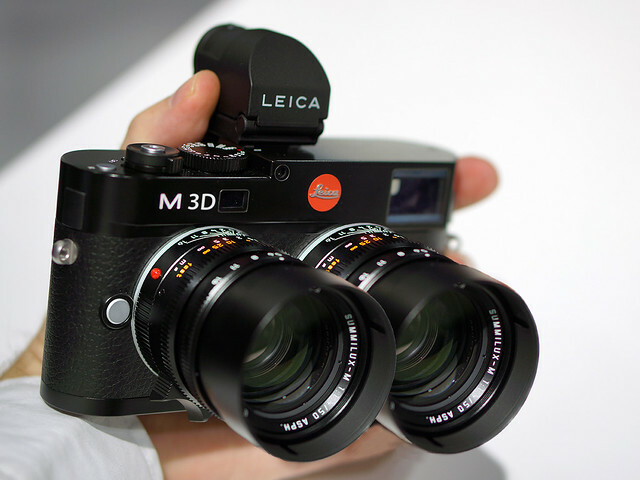 April 2013 - Today we are proud to present a first snapshot of the rumored Leica M 3D prototype spotted in Hamburg. I was told that Leica will provide also rubber bands fitted for pairs of 35mm and 50mm Summilux lenses allowing to transfer the focus setting from one lens to the other. Unfortunately the current prototype can not carry a pair of Noctilix 50/0.95 ASPH. The final version may also provide the option to attach two EVF (at the moment you have to switch the preview between left and right sensor). We will try to get another hands-on session soon, so stay tuned! March 2013 - Back in February I had another opportunity in Hong Kong to compare quite a unique collection of superfast 35mm prime lenses that - attached to a NEX-7 - provide you an equivalent angle of view to a classical 50mm lens on full frame. Three of them start at an amazing aperture of about f/0.95 that compares in terms of depth of field (DOF) to 50mm f/1.4 on a fullframe sensor. The final production version used in this comparison will start shipping in about May 2013 for an introductory price of US$ 1249. It is a very solid (about 800g) construction with 12 lens elements, circular aperture blades and an extractable lens hood. The aperture ring operates clickless and is calibrated in T-stops (a transmission of T0.95 usually requires an aperture of about f/0.9 to f/0.92) and has the same cogging like the focus ring to support video applications (follow focus) as well. It is shipped with M-mount and an adapter to E-/X-/EF-M-Mount depending on your order. It covers APS-H sensor size but with its large rear element (diameter 36mm) it does not fit into the throat of current Leica-M cameras or Ricohs GXR module. For more details please see this article. This lens is a very solid construction as well with 10 lens elements and a 10 blades aperture. It has good haptics, weighs about 680g and comes with E-mount. Prices I have seen so far varied between 700 (eBay auction) and 1000 US$ (private auction). The lens is manufactured in China and until now I did not see a dealer that offers it with warranty. This combination of a 50mm f/1.4 full frame lens and a focal converter provides you a lens with 35mm focal length and an aperture of f/1.0 still covering the size of an APS-C sensor. To understand that functional principle please see Metabone's white paper. The adapter is designed to transmit /convert also the electrical signals to the lens in order to control aperture setting and autofocus (on selected lenses) by the camera. The Canon EF 50/1.4 lens is about 400 US$, the adapter costs about 600 US$ when ordered in Hong Kong. This lens is designed with 9 elements, one with aspherical surface and 9 aperture blades. It is very compact and weighs only about 320g. Some people say it is still the "35mm/1.4 reference". Prices are about 5000 US$ (new and about 4500 US$ used). This lens is designed for fullframe DSLRs and constructed with 12 lens elements (some aspherical) in 10 groups and an aperture with 8 blades. It weighs about 712g. It is availabe with different mounts and has an attractive price of about 500 US$. This even more compact desgined lens is propably the smallest 35mm f/2.0 fullframe lens avaiilable today. It is designed with 7 elements (one aspherical surface), has an 8-bladed diaphragm and weighs 254g. Price is about 3200 US$. Acting as a good subject for real world photos, we met Bertille Tabourot, who is a stylist and fashion designer from Paris, living currently in Hong Kong. She used this opportunity to present some of her fancy creations acting as a freelance model. 28 Feb. 2013 - Last week was one of the highlights of my trip through Southeast Asia as I had the chance and pleasure to compare the upcoming SLR Magic HyperPrime CINE 25mm T0.95 to three other highly adorable, wide open 25mm F0.95 lenses. Let us see how they perform on the latest mFT camera, the Lumix GH3! This little shootout was more a kind of spontaneous incident as we had some daylight remaining at the end of an "Adorable 35s" session planned for that day in Hong Kong with Andrew Chan and some friends. Andrew is the driving force of SLR Magic and very passionate about great lenses - not only those he builds by himself. But let me state that I am not affiliated with SLR Magic and payed for all lenses I got from them. We got some kind support from Bertille Tabourot, who is a stylist and fashion designer from France, living currently in Hong Kong. For this comparison shooting she took the chance to present one of her fancy creations acting as a freelance model. This very compact and beautyful lens was developed in 1953 and at that time the fastest 25mm design. One of the early copies was used by NASA to take the first photographs of the moon from a lunar probe. It is said to have a very cinematic look, a nice bokeh when used wide open and sharp look when stopped down. It is quite hard to find and prices may be around 1500 US$ when in good condition. Schneider Xenon designs have their origin already in 1925 when Tronnier derived it as an asymmetrical derivative of the classical double-Gauss design. The Xenon 25mm f/0.95 became available in the 1960s. The particular copy used in this test was manufactured in late 1978 or 1979 and was equipped with a built-in center spot ND filter that could be ordered for special applications. Current versions do not have that filter and look a bit different, see here. Used prices will vary between 800 and 1500 US$ depending on condition and type. This lens was developed by Cosina Voigtlander and became available for the MicroFourThirds mount in 2010. 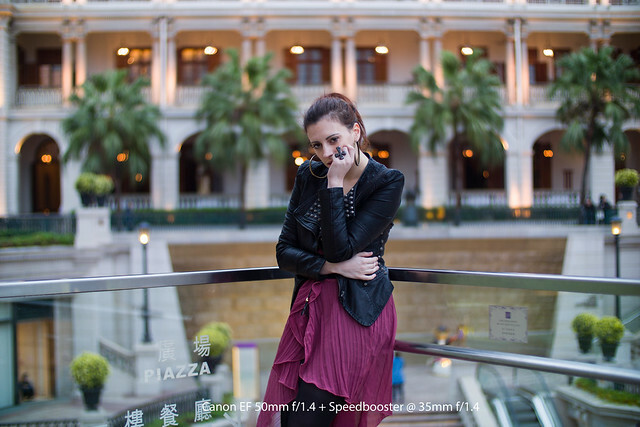 It is known to be already pretty sharp wide open with increased sharpness when stopped down to F1.4 to F2.0. Price is about 1200 US$. Production version will become likely available in April 2013 and will start at a price of 799 US$. It has cinema lens gears and aperture keeps round even when stopped down. In this comparison we used a pre-production (step 2) sample. For a rating of sharpness and bokeh please see my conclusion at the end of this article. The following pictures were all shot from the same postion between 6:19 and 6:27 p.m. on a cloudy day already after sunset in order to get a nice light mood with some point shaped highlights in the background. To avoid motion blur, exposure times were kept at 1/125s which results in ISO settings already between 400 and 1000 (due to differences in transmission/vignetting and sligthly dimming light) and of course we used a tripod. Hamburg is not only known as a town with more bridges than Venice, it also celebrates a Venetian carnival since 12 years now. 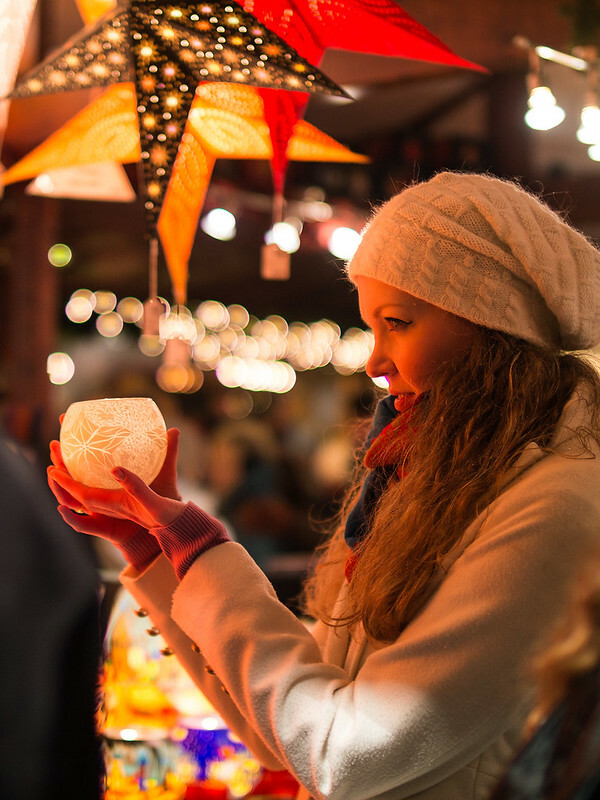 It's an enchanting event for every visitor and a "must see" for every photographer. 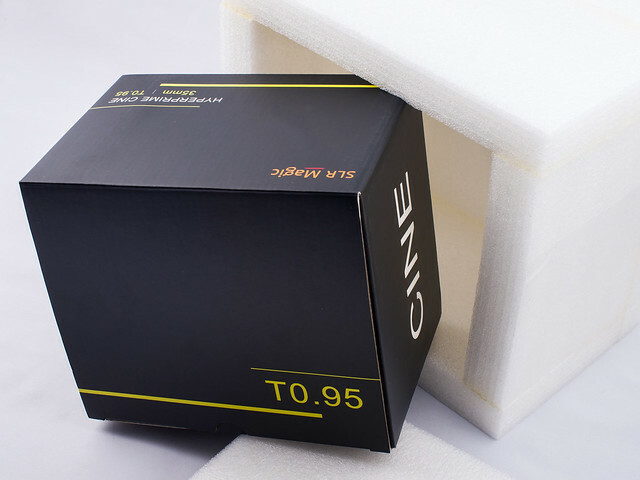 Right on time for Xmas, the latest masterpiece from SLR Magic - the HyperPrime CINE 35mm T0.95 - arrived here in Germany. If you have seen my article about the first prototype that was presented in September on the "Photokina 2012" exhibition in Cologne, you can imagine my enthusiasm, when the box was delivered by the postman. 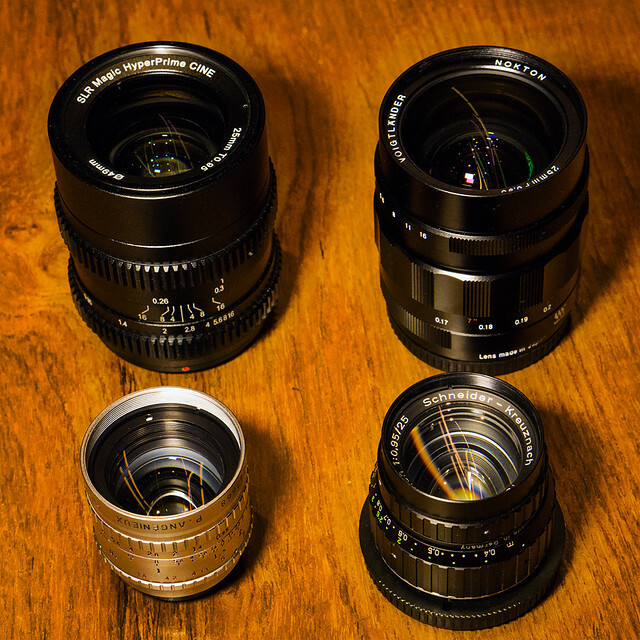 Here we compare that exceptional piece of glass & metal to a 50mm F1.4 lens on a fullframe camera (Nikon D800E) and to a Voigtlander Nokton 35mm F1.2 ASPH (version I), that was - up to now - the fastest 35mm lens that you could get with Leica M mount. After NEX users had to go for such a long time without a good ultra wide angle, now Sony is on target with its new E 10-18mm F4 OSS (SEL1018). We were very curious to see how it performs especially on the NEX-7, which is very challenging as many short focal lengths adapted from Leica M mount produced strong color shifts. The zoom lens starts at a viewing angle of 109° comparable to a 15mm UWA lens on a fullframe camera allowing dramatic perspectives for close ups as well as for architecture and landscape photography. 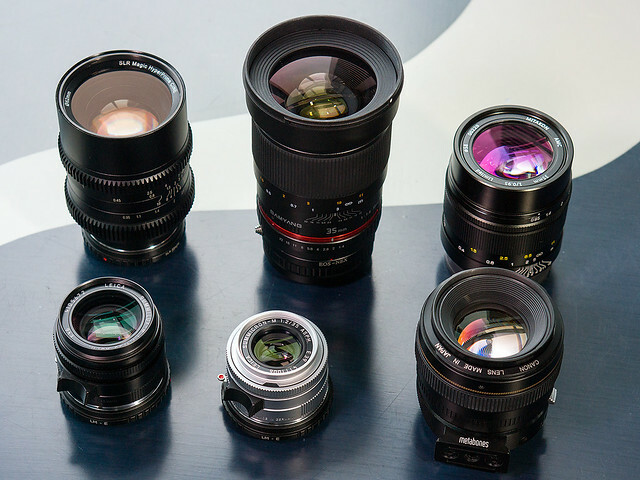 The lens is constructed with 10 elements (some with ED glass) in 8 groups, has 7 circular aperture blades, provides a fast autofocus and optical stabilization supporting shooting at low light and video. It weighs only 225g and comes with a seperate lens shade.